Following the exhaustive chapter by Bonnie Glaser detailing the world of think tanks, this chapter focuses on their impact on the policy-making process in China, exploring “limited interactions between the inner circle and the outer circle” to characterize this relationship. Special attention is paid to the channels between the policy makers and think tanks. Quansheng Zhao is a professor of international relations and the director of the Center for Asian Studies at American University. Previously, Professor Zhao served as the director of the Division of Comparative and Regional Studies for three consecutive terms, from 1999 to 2008. He served as a research associate at Harvard University’s Fairbank Center for East Asian Research for many years. Professor Zhao is a specialist in international relations and comparative politics, focusing on East Asia. 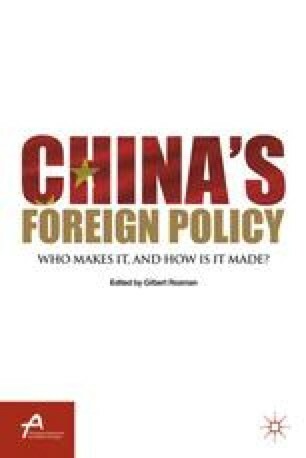 His major publications are Interpreting Chinese Foreign Policy (Oxford University Press, 1996) and Japanese Policymaking (Oxford University Press, 1993). He received his B.A. from Beijing University and M.A. and Ph.D. from the University of California, Berkeley. He completed one-year postdoctoral research at Harvard University.